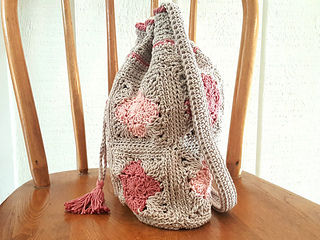 This pretty shoulder bag features cute quatrefoil granny squares! 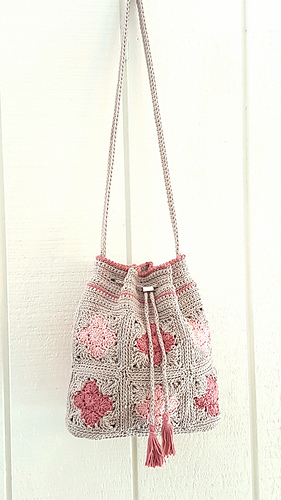 It is crocheted with sturdy mercerized cotton yarn in a seamed granny square design. 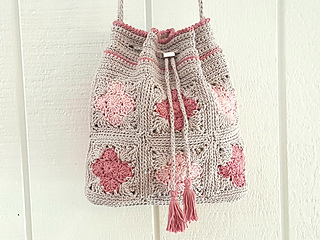 The stitches used in this project are chain, double crochet, half double crochet, single crochet, reverse single crochet, triple crochet and slip stitch. This is an intermediate level project. 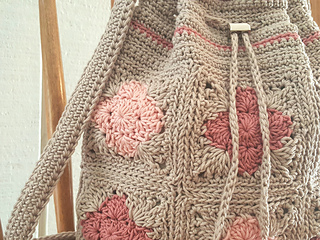 Directions are given for lining the bag and reinforcing the bottom of the bag. 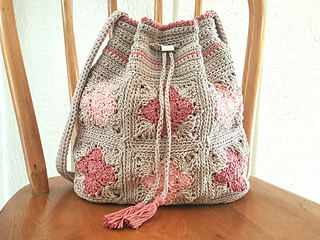 The yarn used for this project is Omega Sinfonia available at www.creativeyarnsource.com. Finished Measurements: 11” high, 11” wide. The base is 9 ½” wide and 3” deep. The strap is 32” long.